I receive Canna questions and comments frequently through my Contact Me form and other sources. Most of the questions are seeking information regarding growing, planting and watering. 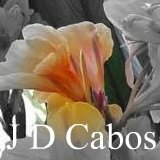 I have been asked for general information on cannas from those who say they know nothing at all planting them, while others may want a recommendation for growing them in pots or about pruning them. 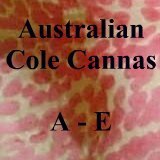 My answers to any canna questions posed or implied are strictly my opinions and/or suggestions with no guarantee of accuracy, solutions or remedies. 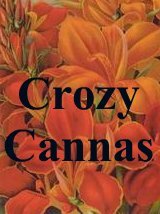 I enjoy good discussion and by sharing these canna questions we all get a better picture of the vast community of Canna lovers literally throughout the world. I hope you find them informative and helpful and remember to submit your Canna Questions or Comments through the Contact Me form. 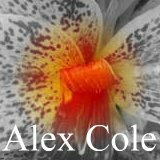 Below you will find a number of Canna Questions and Answer I have received and answered over a period of time. 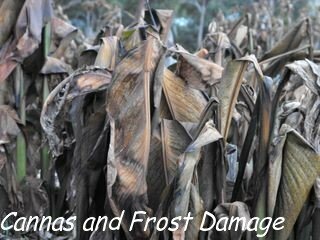 ...cutting frost dead canna lilies? ...can cannas be grown in shade for foliage? 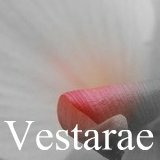 ...best cannas with variegated leaves? ...Leaves are burning...help! don't know what to do? Bought from you before. 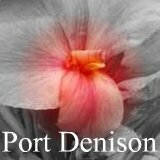 Love in sub-tropics and want a WHITE Canna. Could you tell me how I can find and buy one. 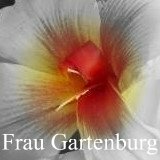 Hi Jeanne, for a good white try to get canna Ambassador or Canna Alsace, Ambassador will grow the tallest of the two, to get true correct to name plants I suggest Anne Glancy at Canna Brae Country Garden Nursery. 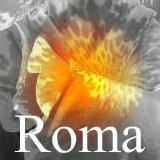 Update 17-1-2019 this site is now defunct. Hi Vivian, yes I could do that, let me know your suburb and phone no via the contact page and we'll sort out a time that suits. Can you cut back frost dead canna lilies? Hi Jessica, Yes you can cut back cannas after a frost to tidy them up, however unless your winter is over don’t cut them too close to the ground, as the frost burnt leaves will still give some cover protection to the new shoots further down near the ground. Hi Paul, no, when they are white they aren’t fully ripe yet, when the pod encasing the seeds dries off and darkens in color this is when the seeds are ripe to collect. If left alone and not collected pending on varieties of course the pod will start opening up and the seeds will fall away from the pod. Have heard of others planting white seed, I myself have never tried it as I prefer the seed to fully ripe for best propagation rate. Hi David, yes they do, cannas are water wise plants that perform well in the dry, however with a bit of tender loving care in the way of mulching and the occasional deep watering they will excel in growth, foliage and flower quality thus giving you brilliant results in your garden. Just a short enquiry. 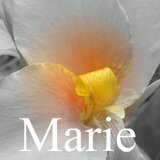 I was told that Cannas are TOXIC is this true? Hi Susan, as far as I know no cannas are not toxic, the rhizomes are edible on some of the taller types, but have never tried them, have never received any skin irritations etc from handling the foliage and rhizomes nor have our cat or dogs or my children, cattle and farm animals are fed the leaves and stems as a food source, my cows love them, many round flowering true bulbs are toxic to both humans and animals, I found a very informative list of toxic plants, it covers a wide range of common plants, flowers, shrubs and trees and states what is known to be poisonous. Hi can you tell me the clumping size of you medium size cannas. I can't find on your website the clumping size? Many years ago I remember them as a plant that continued to clump and get too big. But I am wanting to give them another go. I live on the Gold Coast. Much appreciated. 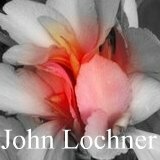 Hi John, you’re probably referring to canna Trinacria Variegata, it’s an older heritage plant dating back to the 1920s, yes it has true variegated leaves, the flower buds are colored red and open to show yellow flowers with a white cross through them, the flowers last better in a part shady position, it is also often referred to as canna Bangkok, other names you may find it being called are canna Striped Beauty, canna King of Siam, canna Minerva and canna Christs Light, have attached a picture of it below. 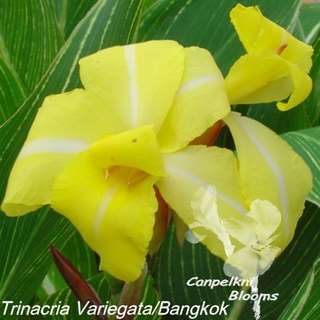 There is another yellow variegated leaf canna thats scarce and rare if you can find it, called canna Tangled Web with irregular variegation on foliage and with yellow flowers that are spotted/blotched with red. Hello Raelene! What a lovely site, TY! 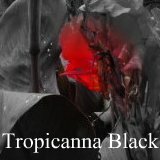 My q involves a Canna I purchased recently as 'Tropicanna Black', from an auction site. It showed very interesting leaf colour of dark plum/burgundy with lighter red/cherise & a stunning red bloom. 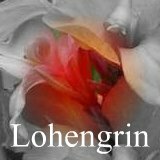 Do you know if this Canna is correctly named or would you have seen it? Mine is growing ok & showing very interesting leaf colours .. basic darker plum/burgundy with flashes of greens, cherise, red/pinks & others that are not yet disernable as the growth is still young. I am taking pics as it grows. 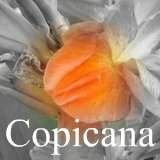 Would you also know of how many cultivars were in the 'Tropicanna' range? I am familiar with 'Tropicanna'(Phasion) & Tropicanna Gold only. TY for any help on this q, much appreciated! Rhonda. You can read my reply here to Canna Tropicanna Black as I've have had this canna on trial for a couple of years now growing with other dark leaf or so called black cannas. 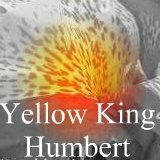 Hi yes and no, there are many worthy yellows out there while the most common yellow cannas to be found growing in Australia are often being sold at weekend markets would be canna Austria and canna Burbank, they are very familiar in flower and unless both old and new flowers from both plants are compared together then they are difficult to tell apart. Can cannas be grown in shade for foliage? Hi Matt, yes they sure can be grown in shady spots for foliage, all the darker leaved types such as the bronze, browns, burgundy and purple shaded cannas will show better results and longer lasting colour leaf tones in full shade, they will still eventually progress through to a darker green tone though over time, even the variegated cannas will hold their colours better in full shade, to flower well through they need approximately 5 – 6 hours each day of sun. 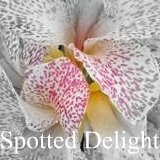 What are the best cannas with variegated leaves? 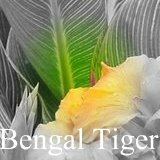 Hi Jeanne, the most commonly available with true variegation on their leaves in Australia would be canna Bengal Tiger, canna Phasion and canna Tropicanna gold, others following closely behind would be Pringle Bay which has also been marketed under the names of canna Pink Sunburst and canna Technicolor, others true variegated plants would be canna Trinacria Variegata which is sometimes called canna Bangkok, then Stuttgart and Yellow King Humbert which shows irregular variegation. Take your pick, the plants with the most colorful foliage would be Phasion and Pringle Bay. I have a creek which I have planted cannas along and most do quite well. It does dry out in summer and is open to the elements. Do you think the aquatic cannas would do ok? Yes the aquatics would do very well there and so would all the taller growing cannas. The aquatics were raised to take full water, but they are equally tough planted out in a dry spot. Dry summer is ok, with lack of water cannas are very drought tolerant once they have settled and established, with lack of water an established clump of them will stay at a much shorter height and they will also produce less flowers. If you can apply some mulch they will perform better in a dry area. I have some varieties that survive on only natural rainfall, they don’t grow as tall as they should and they don’t produce as many flowers but they have survived without any care from me. Why is my canna stuttgart is showing brown patches on its leaves? 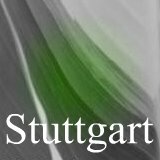 Because Stuttgart has white variegation it is incapable of photosynthesis as its white foliage is missing certain cells when compared to green foliage plants, as it can’t photosynthesis it will dry off faster in warm temperatures compared to other green and dark colored plants. I bought a canna at the market, it was in a bag and not in a pot like what I usually buy, how deep do I plant the canna bulb? Hi Joseph, You want to just cover the rhizome when planting; a good indication for how deep the rhizome was previously planted at is that the colour of the stem changes to that of its leaf colour. In this picture below you can see the white of the stem that has been mulched, you could replant at this level or lift the plant up higher or you could even plant it deeper, It really doesn’t matter too much, what more important is not to overwater until the plant resettles in. Personally I tend to plant any new really small pieces with soil just covering the rhizome and big large multi eyed clumps of cannas get planted much deeper. As summer in Australia get so hot I apply my mulch thick. 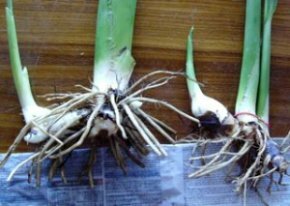 Large rhizome get mulched with a good three to five inches, while smaller ones get a heavy sprinkling till they settle in, growing cannas can easily push through five inches of compacted mulch. They have arrived, thanks very prompt. how long have I got before they should be planted, also any special instructions? Morning Gerald, no hurry to plant, don’t over water till they settle in and just cover the rhizome when planting and dont plant too deep. Grow note- Upon receiving your canna divisions plant asap or heel in ground until permanent position is found, if unable to plant out soak in a bucket of water/diluted seasol or leave packaged in a cool shaded area. Canna’s can last for months out of the ground from late autumn-to mid spring; hence they sit for months in bags in shops with nothing more than dry wood shavings. Summer divisions are best planted asap but will last for several weeks dry in a shaded wind free position, generally the larger the rhizome the longer it will be ok. Look for plants that have a sizable rhizome attached as this is where its starch (food source) is stored, not all cannas produce as fat/swollen rhizomes for some growth is only contained to side shoots, some produce as huge specimens, others are slender and long and dwarf cannas are usually small and compact. When planting out, canna division’s will thrive in a well prepared soil-rich with old organic matter, and love a mulch, generally feed your soil which is feeding and attracting worms, in return you will have the perfect friable soil for Cannas and other plants. Over watering new plants is the fastest way to kill them. I give the soil a thorough watering, once division is planted, then a week or so later, unless the weather is extremely hot or windy, and I apply a mulch. The best guide is to give a gentle tug, if it has a slight pull, it hasn’t settled in yet and you must go easy on the water or it may rot, only when you can tug it and its firmly rooted do I increase the water—this is the best advice I can give and a sure way for you not to loose your plants. 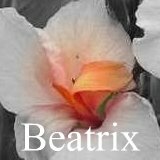 I have just hacked back my cannas and i am wanting to propagate some new ones. I have reduced them back down to a bulb. I was hoping to store them like this until i can plant them in our new home at Xmas, it is now may. Can i leave them in a bulb state for that long? I have read about how to plant them and am ok about that, but was wondering on storage or should i pot them up now. Yes you can leave them out for that long if they are as a clump; you just don’t want to break them up into too smaller pieces if you’re leaving out of the ground. if you don’t have too many you can pot them up now as they will reshoot early spring, they won’t wait till xmas, but as a clump they will be fine till then and you’ll only have to cut back and plant out when you move. In Townsville, North QLD I have cannas growing beside our salt water pool - they have rust big time. I've removed all rust effected plants and leaves but should I remove them from beside the pool. I'm new to N.Q. cannas and owning a pool. They grow just 1metre from the water. Hi Jean, its hard to say what is causing the rust as you say your new to Northern Queensland. As I'm not sure of your exact conditions eg soil, mulching, are the plants in full sun or permanent shade, how wet the soil/plants are, are the plants constantly wet from the pool? and has the problem just started, is it on all their leaves or just the lower leaves near the ground, do other plants in your garden show rust?...I'll go through a few areas of interest as I said I don’t know your growing condition-- firstly rust is seen here in Victoria very late in the season and then only one or two old cultivators that tend to show/attract it each year, it is seen on their lower leaves, 99.9% of cannas here don’t show any rust, our summers are dry and hot, Qld being hot n humid does help attract rust as I've seen very often on my friends plants when I visit them, they have a high rainfall and the air is always humid, and they don’t mulch, rust spores can be spread through the air and up from the soil and they can multiply and cover plants plant that are constantly wet in the soil and or foliage fast. How do you get the seeds to become plants, is there special soil to start them off? Do you let them brave the elements, or do they need to be sheltered. Seeds need to be scarified first to let in moisture, then simply pot them all up into one large pot in any fairly well draining potting medium. Coming into winter it’s wise to provide them some protection from any frosts. In early spring gently divide them out of the pot and plant out in the ground. I just got a question about some canna's I bought awhile ago..I planted some at the front and some out the back. The ones out the back are going beautifully but the ones out the front are not coping with the full sun and the leaves are burning to a crisp, doesn’t help we have had some horrid heat lately. My question is should I leave the ones out the front there?..Will they harden up to sun or should I take them out to the back and try to find somewhere to put them? help! don't know what to do? Are the front cannas mulched? Is the soil friable or compacted? Sounds like your front garden has really heavy compacted soil. I would dig up the plant in question and incorporate some animal manure into the planting area and mix through well whilst ensuring to loosen up as much soil width wide for the planting hole, then replant it, thoroughly water it and surrounding soil, apply some mulch around the plant at 3 to 4 inches thick if you can, finally overwater the mulch to help lock it down from any strong winds. By adding manure this improves the soils moisture holding capacity and encourages earthworms that in turn help to open up, aerate and fertilize it on their travels around the garden. In very good conditions the foliage wont burn unless they are a little bit thirsty, but keep in mind that different varieties will perform different too. Here we have had a couple of 43 deg days and only a few leaves got burnt a little, some that get more water and are more heavily mulched coped very well and didn’t have any leaf burn. I just had 3 plants come up from 20 seeds. Dug them up and the others were soft but never sprouted. Is this normal percentage for 20 seeds? Hi there Leslie, there is no normal percentage, sometimes out of 10 seeds I plant I might get one or none to come up, one other time I sewn just the one seed and got it up only to have it dampen off, my last lot was sewn on the 8-5-2010 these I checked, prepared and planted 11 seeds in total, three were up within the first week to ten days, then another showed about 3-4 days after that, then nothing for a good few weeks, today is the 15 th of June and I have just checked them and there is another new seedling that is about 1 centimetre through the soil and another that has just broken through, its tip can just be seen, these were all sewn together in the one pot on the 8-5-10, I suggest you wait longer before you disturb them, soft seeds after being planted can mean either they have been too damp and rotted or they have taken up moisture and are about to sprout, check the side end and if there is a slight protrusion then they are about to sprout. For seeds to grow it all depends on the warmth, deepness planted, available moisture to penetrate and then not as much moisture so they don’t rot off before they are exposed through soil, how clean of fungus spore the soil or potting medium is, often after a few months when I transplant the sprouted seedling I notice that some of the remaining seeds are soft and covered in almost a growth type fur, while others have clearly rotted, I know that the parentage genes also play a big role in how fast some seeds will sprout, I grew some seeds from canna Ra it’s an aquatic canna and out of the 10 sown 9 seeds grew, where as canna Constitution I sown four around the 8-5-2010 and none have come up so far, I submerge my seeds in a cup of water for about half an hour or so then plant out, Id leave the others as there should be more still to sprout. I can hardly wait to get my mitts on some cannas and plant them. One question, are they frost friendly?? No worries if not, I will wrap them up with frost matting, just curious. The winter frost will burn the foliage but the underground rhizome will be fine. After winter/early spring as the weather starts to warm up top growth recommences growing and they flower right through to the next winter. no, just treat as normal, mine are in full sun, the white foliage will scorch as it can’t photosynthesize like the green, but when you have a clump of it you don't notice. Allow room to grow if you have a good supply to water, as its not unusual to shoot new growth up a foot or more away. After planting cannas how long before they grow and how long before bloom. It all depends on what season your currently in, warm spring/summer they will resettle the fastest and continue to grow after a few days to a couple of weeks. Results can vary a lot, it depends on the individual varieties, most varieties never look back while a few can take a couple of weeks to really find their feet and settle in before they recommence growing. How long till they flower once the new shoot/eye has broken through/been exposed to sunlight; this sends a signal and starts production of the flowers. Too blooming flowers it depends on how advances the shoots or stems are on the rhizome division, and the condition of soil watering and sun, and what season you’re in. I post some cannas at one to two foot high in stem growth but with leaves trimmed off over summer and I’ve had some customers write to me three to four weeks later to say they are now flowering. On some stems you can feel where the flower buds are positioned by running a hand down the stem and feeling for a slight bulge. If you have a sharp eye you may notice a pacific and distinct tighter inner curl of a much smaller sized leaf as its just starting to open. If you can pick this smaller leaf that shows before the flowering head appears from the stem then you will always be able to tell how far away the plants are from flowering. For peak growing and flowering give cannas a full sun position, friable well fertilized soil with old animal manure, a mulching if your area experiences extremely hot summers, and a deep watering every two to three weeks.